About two years ago, Bay Area voters passed Measure AA, a regional $12 per year parcel tax, by nearly 70 percent. You might remember it as the “Clean and Healthy Bay” ballot measure. It’s goal is to restore thousands of acres of the the San Francisco Bay's wetlands and to protect our shoreline against sea level rise. Over the next 20 years, this tax is expected to raise $500 million for wetland restoration. Now part of that money is getting put to use. 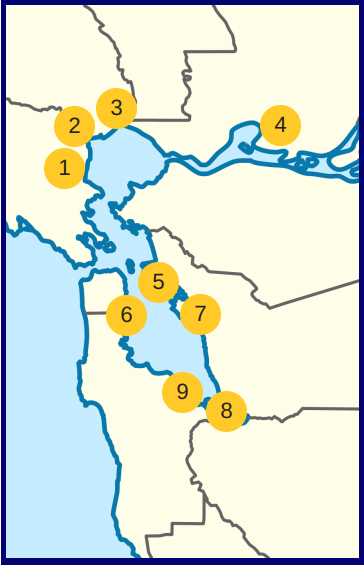 In April, the San Francisco Bay Restoration Authority, the governing board set up by the state legislature to allocate Measure AA funds, awarded close to $18 million in grants to eight projects. So where exactly is all that cash going to? To find that out we’ll visit all eight of the restoration sites around the bay, plus an additional site slated to receive grant money later this year. We start with the South Bay Salt Ponds Restoration Project, which takes away more than $7 million from this first round of funding. This project is huge, spanning three counties: Alameda, Santa Clara and San Mateo. It aims to revitalize over 15,000 acres of former salt evaporation ponds over a 50-year period. That makes it the largest environmental restoration project West of the Mississippi. 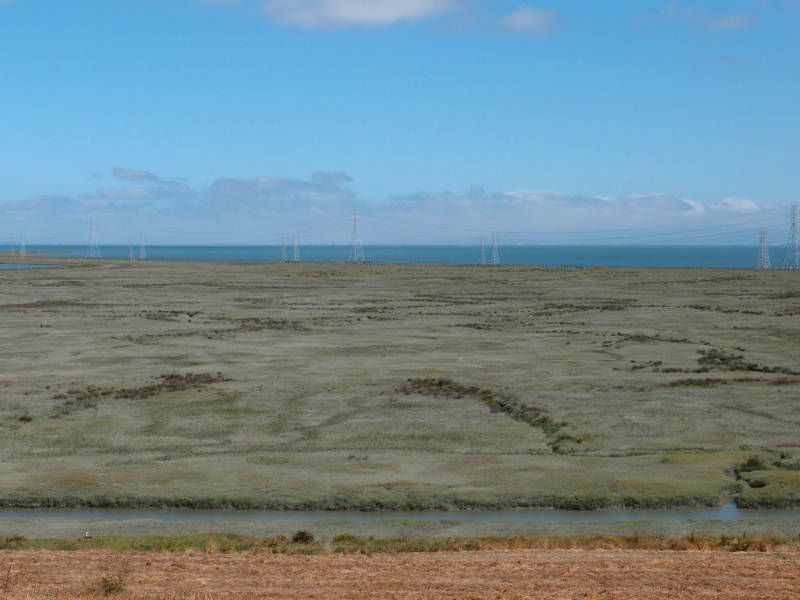 Most of the money awarded to this project from the restoration authority will go towards habitat rehabilitation, flood protection measures and recreational improvements at five locations, focusing in on ponds in the Ravenswood and Alviso areas of the South Bay. 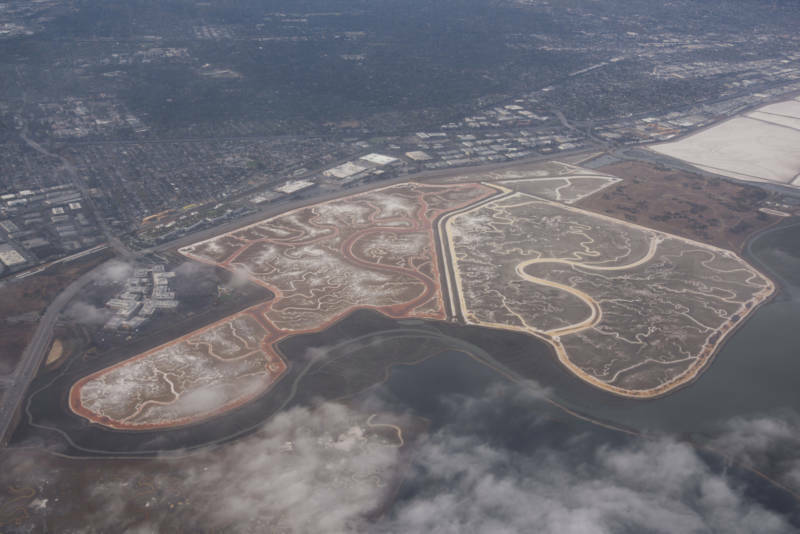 The best vantage point to view the entire salt pond project is from a plane above, but the peak of a windy hill in Bedwell Bayfront Park in Menlo Park can also give you a partial view of the ponds. 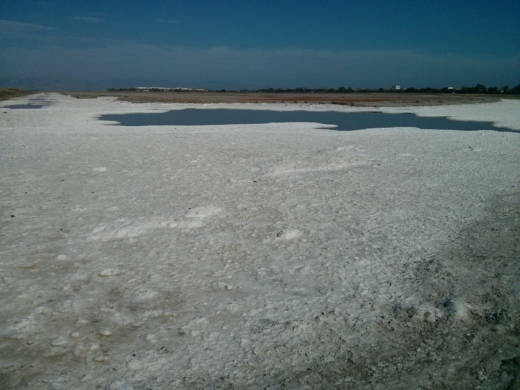 Bourgeois says, Greco Island is untouched but the salt marshes around it were drained for its minerals. The difference between the two is stark. Other things you can see from this point: the foot of the Dumbarton Bridge, Highway 101, a PG&E substation and Facebook’s headquarters. All this infrastructure would benefit from the restoration because tidal marshes offer protection from sea level rise, says Bourgeois. Although this project is huge in scale, it probably won’t be the next poster child for wetland restoration work. Frankly, it’s just not particularly beautiful. We’re not saving a redwood forest or cleaning up the banks of a beloved river here. But, Bourgeois says, beauty is in the eye of the beholder. Project officials hope to start the restoration phase of a portion of the ponds, with the help of Measure AA money, this fall.